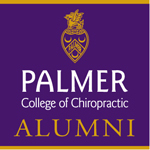 Drs Rick & Megan Erickson, started their husband and wife chiropractic office in Winston-Salem in 1986. Together they have served over 15,000 patients in the community, this team has the experience to recognize and treat your condition with confidence. At Erickson Clinic of Chiropractic we focus on family wellness, health and nutrition, physical therapy and sports medicine. 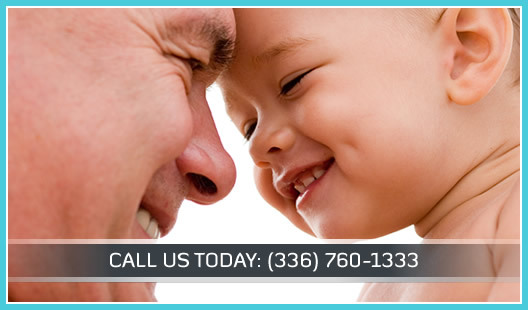 We serve all kinds of patients from athletes to infants to people with chronic pain that hasn’t resolved elsewhere. Chiropractic care can help bring you relief. It does so by improving health from inside out and allowing your body to heal naturally. If you’re fed up with drug and surgery based approaches to your pain, which don’t seem to work in the long run, perhaps it’s time to try chiropractic care. It’s sometimes easier to ignore a small health problem than to address it. People tend to have hope that it will go away in time, and then lose track of when and how it began. At Erickson Clinic of Chiropractic we believe it’s best to identify and treat problems early, before they have the potential to escalate. Chiropractic care can help to relieve pain, reverse damage, and be a part of your healthy preventive lifestyle. Make an appointment by calling (336) 760-1333, and find out what chiropractic care can do for you. Winston-Salem Chiropractor | Erickson Clinic of Chiropractic Serving Winston-Salem and the Piedmont Triad Area with Quality Chiropractic Care. Everyone was very friendly, also they were attentive and sweet to my 3 year old daughter. Thank you! The level of professionalism and care is exemplary! From the time I walked through the door the staff was courteous, knowledgeable and made me feel welcomed. Great customer service! This was a great experience, I can see myself enjoying coming here. Very warm environment. Coming here has been a great experience. The staff and doctor are amazing. I felt that you were interested in helping me…..not just there! Friendly and caring. Very thorough examination. I was taught what is causing my problems. Very thankful for the treatment and care I have received. Great improvement in my pain and mobility. Thank You! 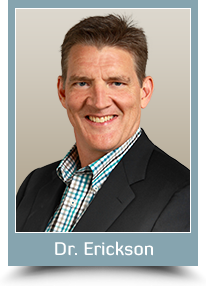 I actually look forward to my time at Erickson Clinic—Professional and friendly and accommodating staff. I felt a lot better since my first visit. Dr. Erickson had the perfect diagnosis and care for what I needed. Thank you to the staff for taking the time to explain and walk me through everything. I look forward to seeing how much Mr. Erickson can help control my pain. I think there is hope for better days ahead and that makes me very happy. Can’t believe how much better I feel! I thought I would have to have surgery.